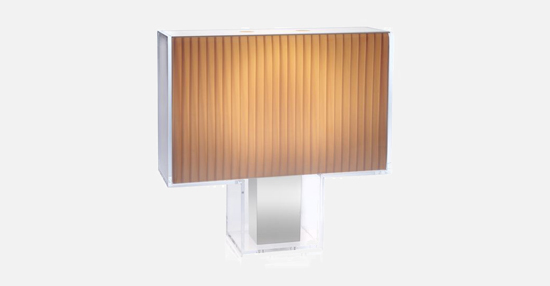 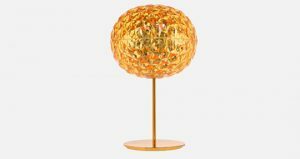 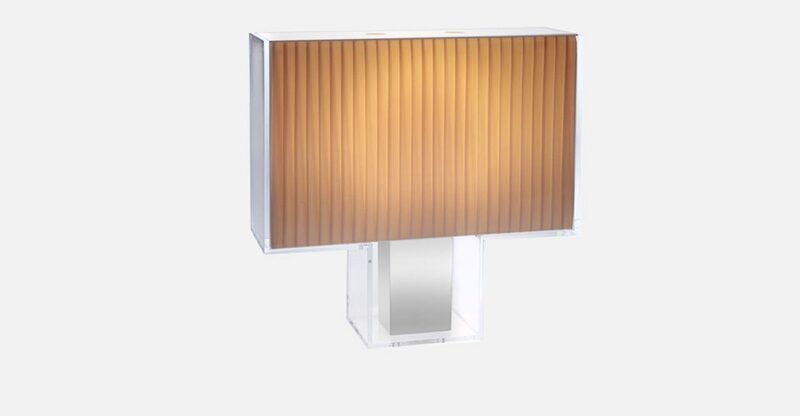 Rectangular table lamp with extreme clean formal lines and an Art Deco feel. 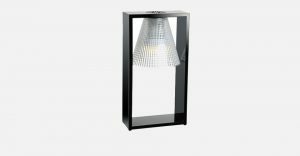 Tatì’s unique look is created by the transparent PMMA body with the lamp inside encasing a chrome diffuser, available in coloured methacrylic in the frosted version or in pleated fabric or black lace. 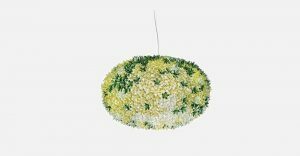 Despite its strict materials and shapes, it’s not cold, but a go-anywhere object with a bourgeois allure and contemporary lines. 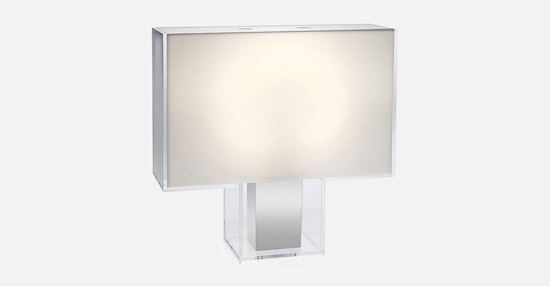 Tati’s different chromatic plays of light have the effect that when turned off reveals the full colour of its surface but when on the adjustable intensity of light lights up the whole body.